The Dunlop Cry Baby 535Q Multi-Wah pedal is the result of a collaboration between Dunlop and the world's top guitarists, giving you an incre.. 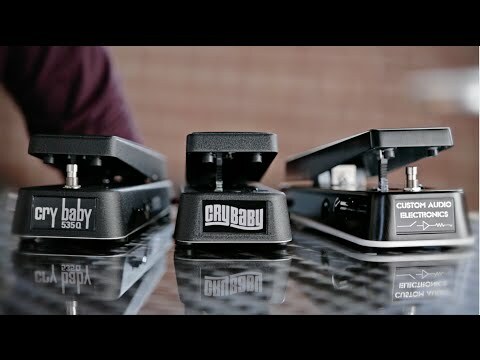 The Dunlop Cry Baby 535Q Multi-Wah pedal is the result of a collaboration between Dunlop and the world's top guitarists, giving you an incredible wah pedal to make your own sound. Working closely with some of the world's top guitarists, the engineers at Dunlop have created the 535Q Cry Baby Multi-Wah pedal. Known by many as the Swiss army knife of wah pedals, the 535Q wah pedal has a six-position Range Selector which allows you to choose from six different frequency ranges. Each of these frequency ranges is based on the tonal characteristics found in Dunlop's most well loved wah pedals. Using the Variable Q control, you can take go from wide and subtle to narrow and sharp with ease. A switchable boost which is adjustable up to +18dB will really make sure your signature sound is heard and it can create endless sustain on any note. With the Range Selector, you already have six different wah pedals in one unit but with the other onboard controls, you can take sound customisation to the next level. Buy the Dunlop Cry Baby 535Q Multi-Wah Pedal now and start wailing with your own signature sound.